A fashionable russet bronze finish combines flawlessly with satin etched shades, making this Sea Gull Lighting flush mount sleek and sophisticated, while the energy saving bulbs make it practical. The 60 watt bulbs give off the ideal amount of light for any indoor application. If you are looking for a bold, new age accent for your home look no further. 2-Light Ceiling Mount Oiled Bronze Flush Mount This Collection Exhibits The Same Beautiful Detailing As A Chandelier, But In A Smaller Size Suitable For Lower Ceilings And Smaller Spaces. Each Item Has An Attractive Banding On Top With White Satin Glass And A Decorative Finial. Various Styles And Finishes To Match Your Dicor. 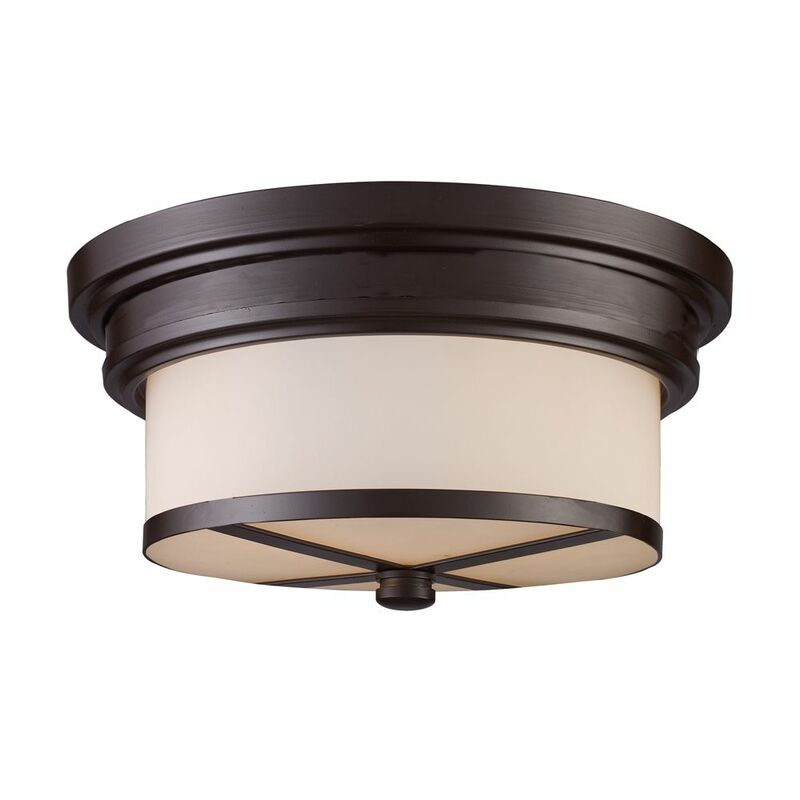 2-Light Ceiling Mount Oiled Bronze Flush Mount is rated 3.0 out of 5 by 1. Rated 3 out of 5 by Anonymous from Not worth the price! The picture makes it look like the bottom piece is attached to the light fixture but it's not and it scratched the fixture when it was being screwed on. What are the dimensions of this fixture (diameter and height)? What is the maximum wattage for the bulbs?